This teapot is made of earthenware and glaze. 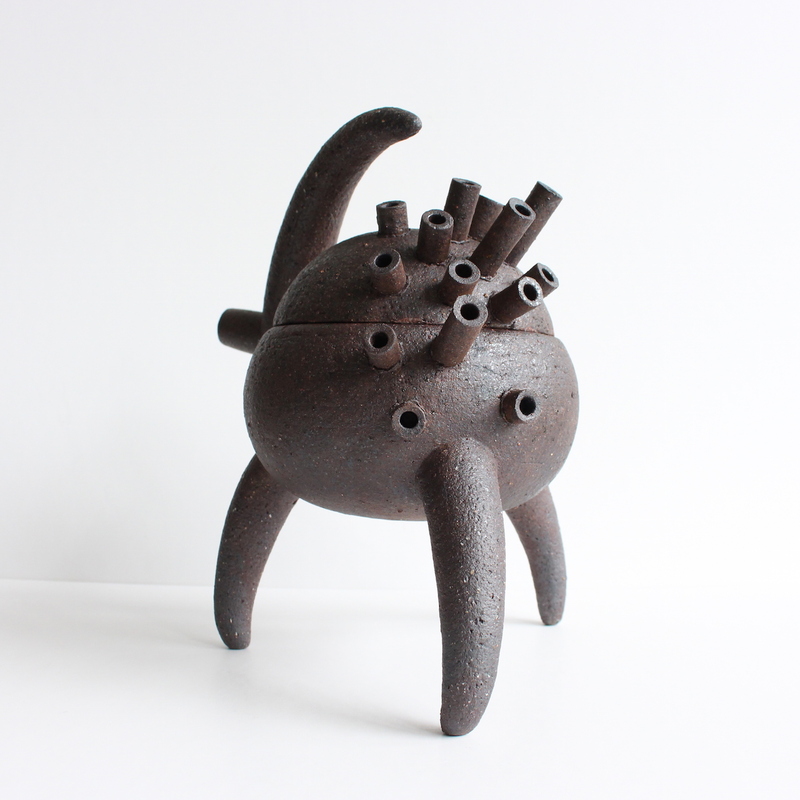 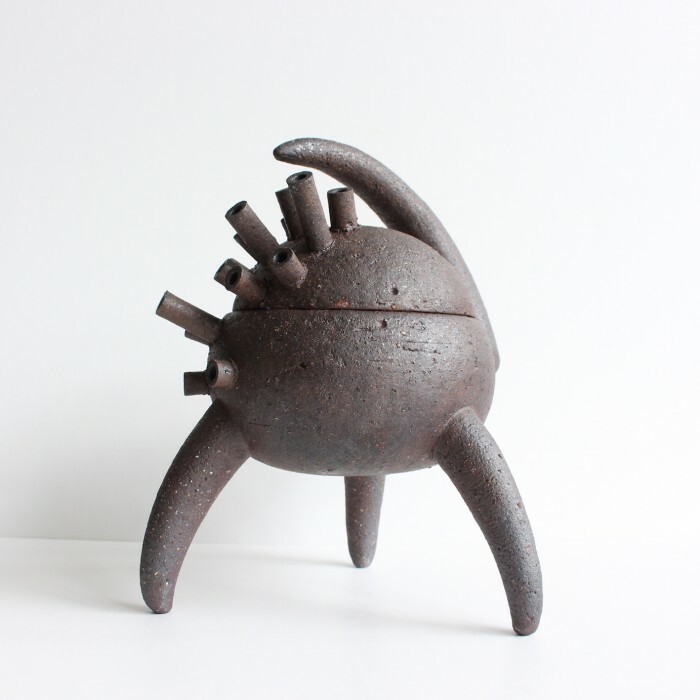 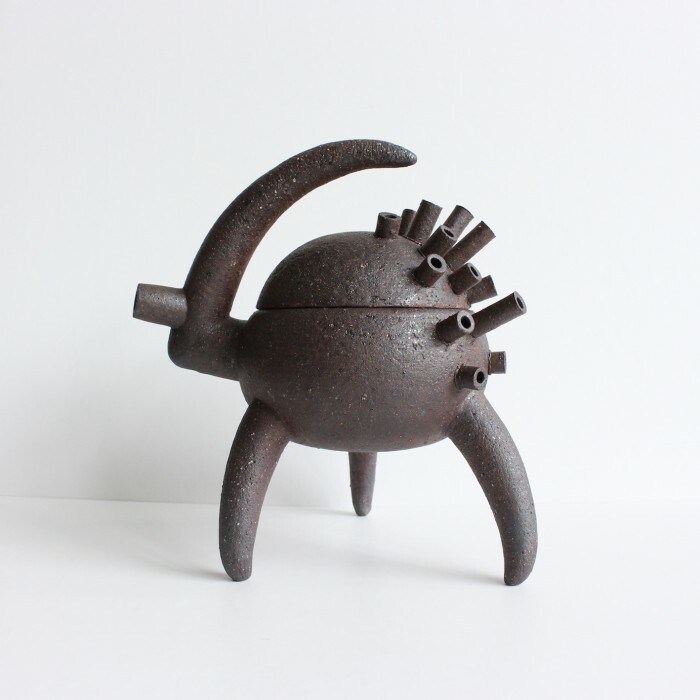 Part of the “Teteras” series from Tono Perez. 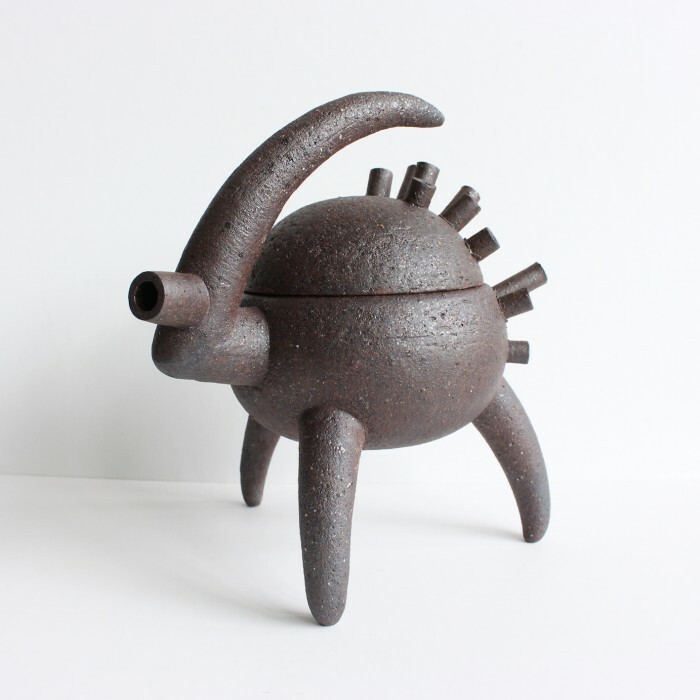 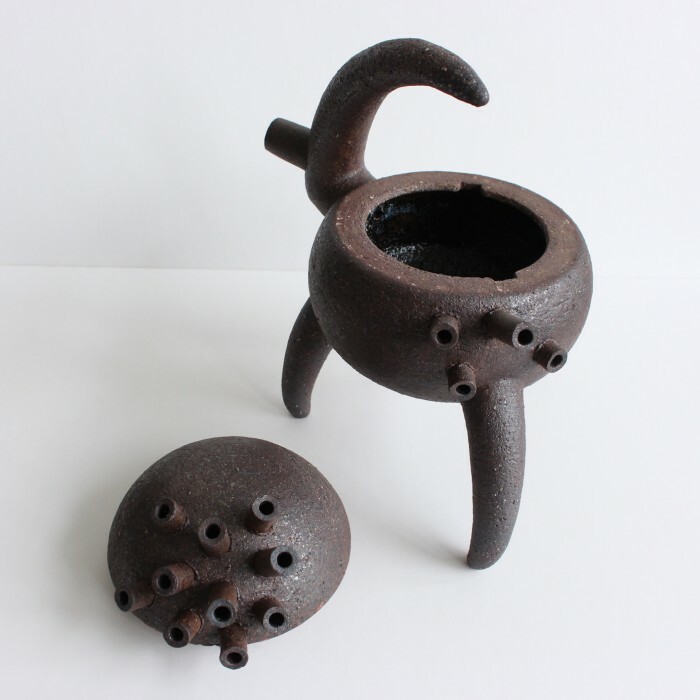 This piece serves both as a sculpture and teapot in one.